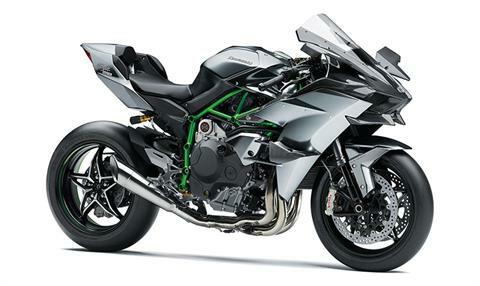 The Kawasaki Ninja H2™R hypersport motorcycle is an engineering marvel, made possible only through the sourcing of technological expertise from multiple divisions of Kawasaki Heavy Industries, Ltd. (KHI). 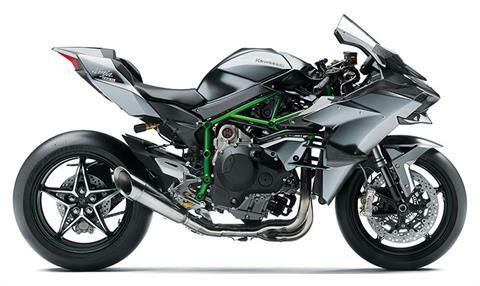 The result of this unprecedented collaboration is a system of carefully crafted premium components and World Superbike racing inspired next-level electronics that work in concert to create an unbelievably powerful machine - one that’s more than worthy of the legendary H2 name. For 2019, key updates include new Brembo Stylema® calipers and highly durable self-repairing paint*. 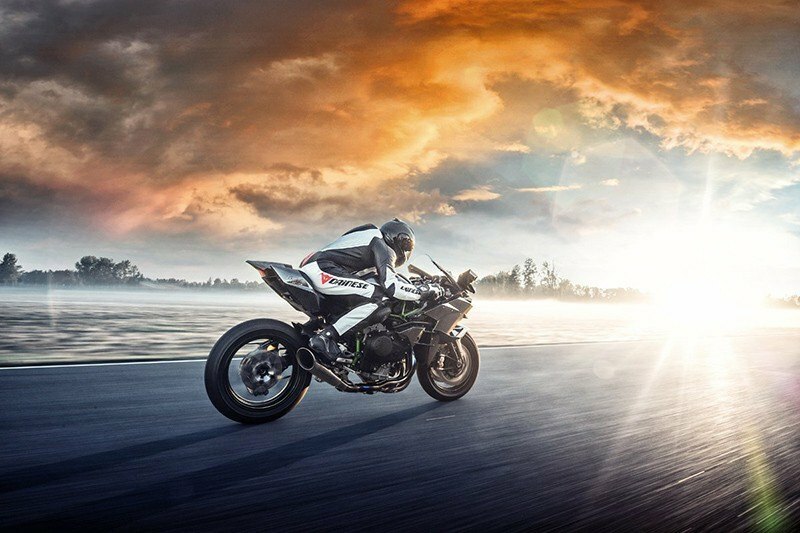 KAWASAKI TRACTION CONTROL: Whereas many competitive traction control systems react to wheel-slip, this IMU-enhanced feedback version of KTRC predicts conditions and acts before slippage exceeds the range for optimal traction. When turned on, riders can choose from 9 modes, allowing riders to choose the degree in which each mode intervenes during riding. Riders may also elect to turn the system off. 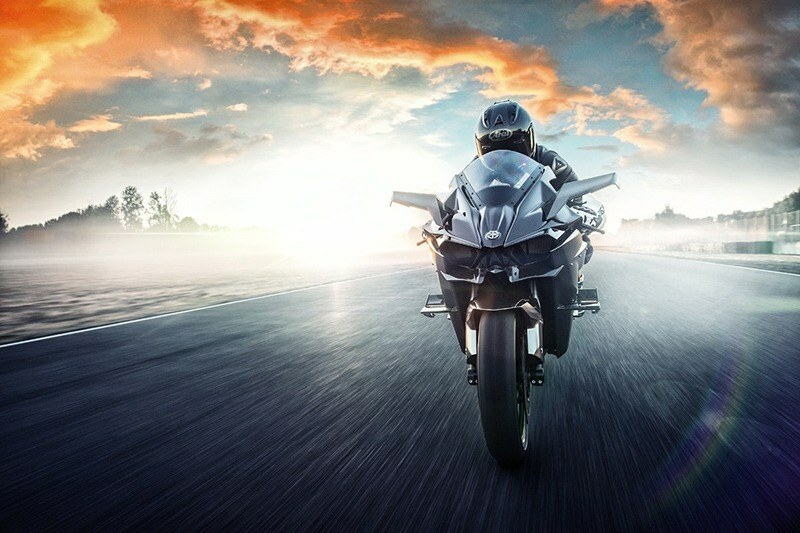 Modes 1-3 are optimized for track conditions, Modes 4-6 for the street, and Modes 7-9 for wet pavement conditions. A rain mode is also available. KAWAWAKI LAUNCH CONTROL MODE: 3-mode KLCM provides unmatchable acceleration from a stop by electronically controlling engine output to minimize rear wheel-slip and front end lift. 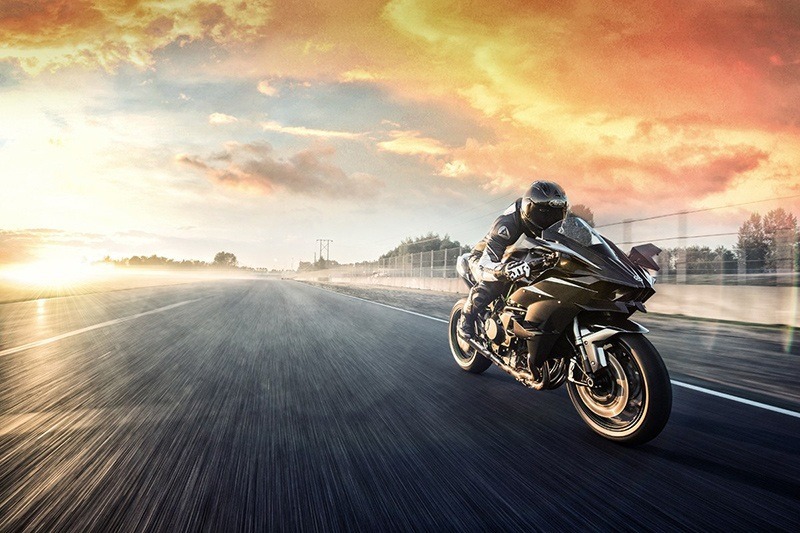 Launch Control Mode allows the rider to launch from a stop with the throttle held wide open. KAWASAKI QUICK SHIFTER: Complementing the engine’s strong power and the dog-ring transmission, a contactless-type quick shifter enables quick upshifts seamless acceleration, The KQS enables clutchless downshifts for quick and smooth deceleration. 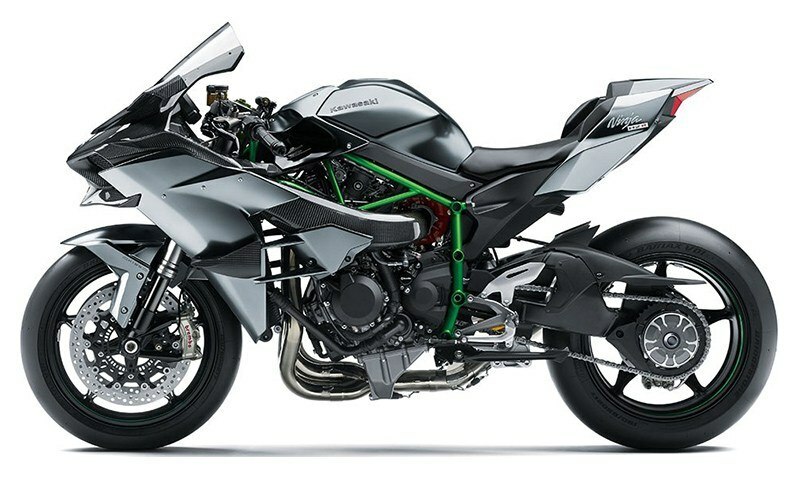 KAWASAKI INTELLIGENT ANTI-LOCK BRAKE SYSTEM: IMU enabled Kawasaki Intelligent anti-lock Brake System (KIBS) is a supersport-grade high-precision multi-sensing ABS brake assistance system. 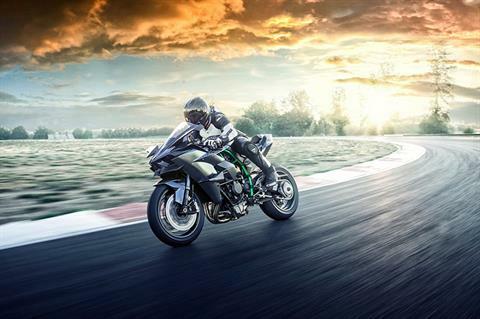 Uses high-precision control to modulate brake pressure during sport riding. KAWASAKI ENGINE BRAKE CONTROL: This system allows riders to set engine braking according to preference. When the system is activated, the engine braking effect is reduced, providing less interference when riding on the circuit. 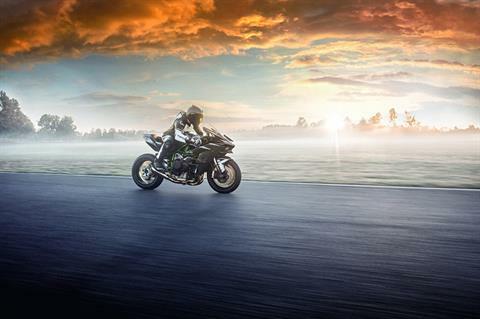 UNPRECEDENTEDLY POWERFUL: ​The unprecedented power output of the supercharged Ninja H2™R motorcycle is made possible only through a system of finely-tuned and carefully crafted high-quality components. 998 CC INLINE ​4-CYLINDER ENGINE: The engine was painstakingly crafted to accomodate the extreme air pressure created by a supercharger. Cast (rather than forged) through a unique process, the pistons of the Ninja H2™ are lightweight - yet strong - and able to withstand extremely high temperatures. The precision-honed combustion chamber is complemented by a flat piston crown inspired by technology from KHI's Gas Turbine & Machinery Company that helps prevent detonation. Assist and slipper clutch offers light clutch pull and minimizes wheel chatter caused by aggressive downshifting. Front - 43mm inverted fork with adjustable rebound and compression damping, spring preload adjustability and top-out springs / Travel - 4.7 in.